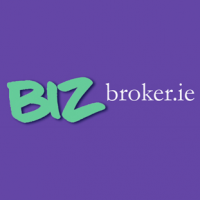 BizBroker.ie provides Life Insurance, Accident & Illness Cover & Pensions. Our free financial planning service helps you plan for your future and helps you set up a path towards achieving your financial goals. One of the primary reasons that people engage a financial planner is to know if, and when, they can retire. There are some common, yet avoidable mistakes that prevent many people from retiring ‘on time’. But with some planning, you can steer clear of the mistakes that could derail your retirement. Talk to us today! Life Insurance is a form of insurance that pays a lump sum to your family if you die, provided of course that you have taken out a life policy. Talk to us today! Get Ireland’s Best Serious Illness Cover and Income Protection from BizBroker.ie. Get Low Cost Quotes Now! Call us today! We act as a pension-scheme and group risk broker for companies of all sizes as well as providing pension and retirement planning services for employees on a one-to-one basis. Call us today!